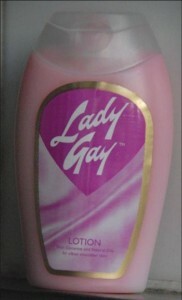 Ladygay is not just a lotion to me. Its the signature scent of my mother. If gizzards were my father, the sweet gentle scent of ladygay was and still is my mother. Her showing up at home bearing a gift – a new dress, a pair of shoes, or just tropical sweets that seemed to live in her handbag. The ladygay scent was the calming reassurance in her room whenever scared little me moved there in the middle of a rainy night with particularly loud thunderstorms. Ladygay was the scent that wafted through the house in the morning when she was getting ready for work and little me knew that mum was awake, alive and well. That the world was safe. Today is not mother’s day or anything. I was just musing over what lotion to buy myself this time round when it occured to me that my Mum has used the same lotion all her life. How? !